API Pneumatic UK has an extensive selection of pneumatic actuated ball valves available to purchase. 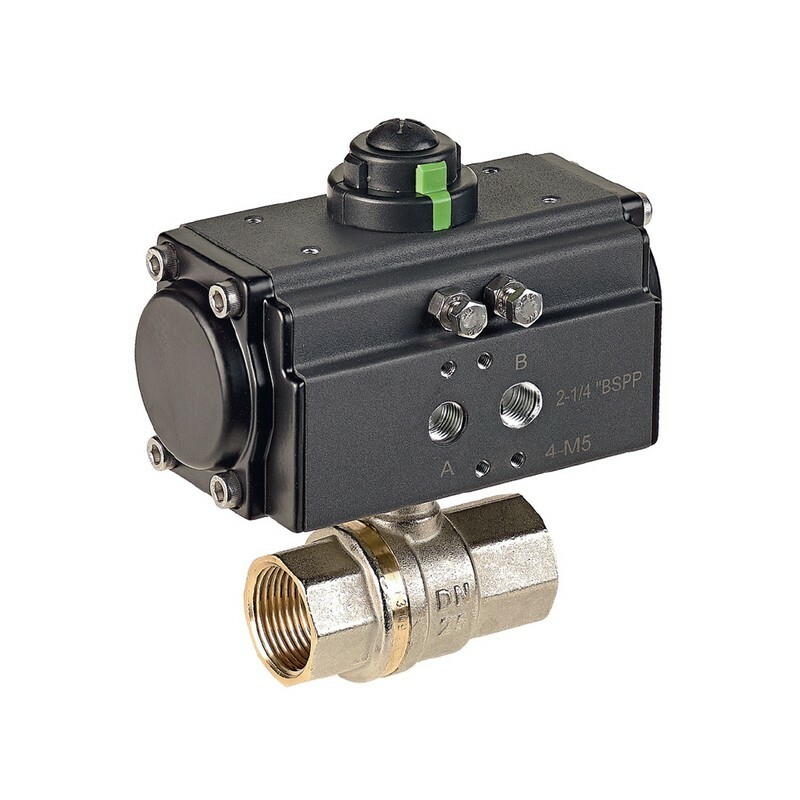 Not only do we have API actuated ball valves manufactured from hardened and anodised aluminium, but we also offer brass and stainless steel options. A selection of our pneumatic actuated ball valves are also available as both single and double acting versions. For expert guidance, contact the technical team at API today. We provide a broad array of valves and are more than happy to discuss your requirements to find the most suitable actuated ball valve for your application. We also have ATEX options available on request, for use in explosive and hazardous environments. Rotary actuators with a double rack are adaptable for use with either ball or butterfly valves to suit your particular specifications. The purpose of these rotary actuators is to automate the operation of either type of valve. Choose from a single or double-acting rotary actuator, depending on your application requirements. It is important to note that the single acting versions are suitable for fail-safe requirements. This API rotary actuator performs to the highest standards within the temperature range of -20°C to 80°C. Constructed from a hardened and anodised aluminium body, our pneumatic rotary actuators are designed to be robust enough for a long life cycle. There are certain features on this product that allow it to adapt to particular applications. For example, the upper side of the actuator is made according to VDI/VDE 3845 NAMUR standards. This allows for the addition of accessories such as CAM and position sensors. The side connections are also threaded and arranged specifically for NAMUR valves. Choose from an extensive array of rotary actuators within this series to find the version that meets your applications demands. Another type of actuated ball valve manufactured by API is our full-bore brass ball valves. These particular valves are available in a range of sizes from 1/2” to 2” and as single or double-acting versions. These pneumatic actuated ball valves are not only for use with compressed air but also performs to the highest standard with water, inert gases and non-aggressive fluids. For the highest standard of functionality, use this pneumatic actuated ball valve in the temperature range of -20 °C to 130°C. API Pneumatic UK also has stainless steel pneumatic ball valves with rotary actuators available. These full bore ball valves are for use with compressed air, water, inert gases, fluids and steam. Choose from single or double acting versions, available for manufacture in a range of sizes from 3/8” to 2”. Our stainless steel actuated ball valves also have an extended temperature range of -20 °C to 150°C. 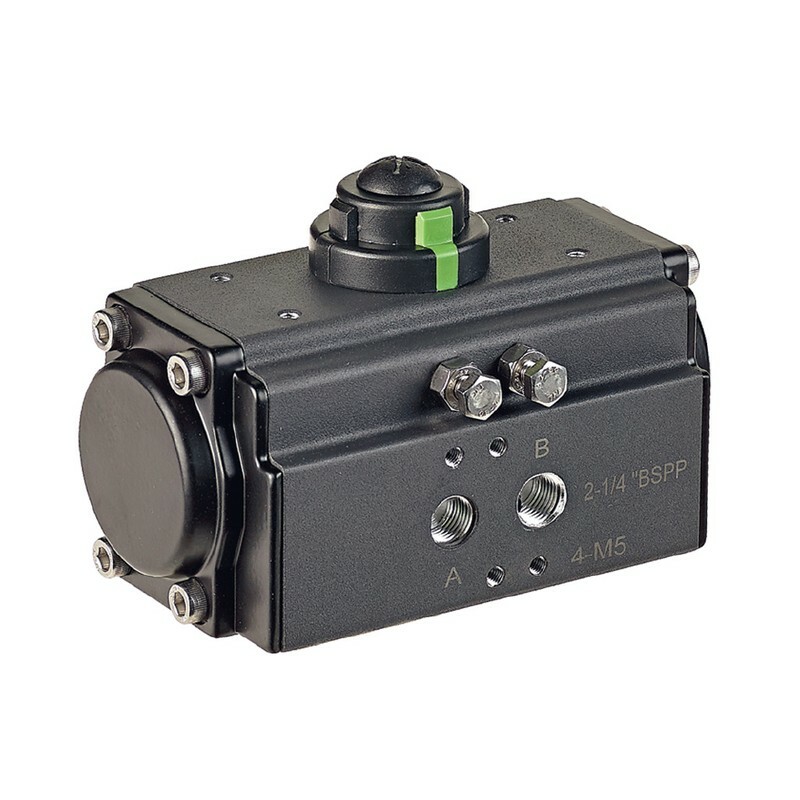 API also has a range of other products to work alongside our pneumatic actuated ball valves. The new generation of IP67 rated handweel manipulators are designed to sit between the valve and actuator. This product is compact, universal and available in multiple versions. We also have a range of limit switch boxes, which are useful to monitor the position of each valve, even from a distance. Our pneumatic ball valves and rotary actuators are available on a next day delivery basis. For more information about our entire range of valves and accessories, contact API today.